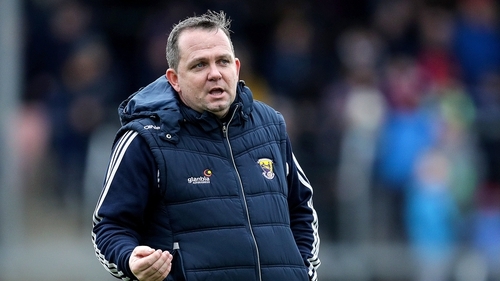 RTÉ hurling analyst Donal Óg Cusack believes that Davy Fitzgerald is a huge asset to the GAA and says his hurling philosophy is built on sound logic. Fitzgerald's Wexford team secured their place in the Allianz hurling league quarter-finals with a seven-point win over Kilkenny in Innovate Wexford Park this afternoon. 2018 was Fitzgerald's difficult second album in Wexford and the year saw them flatline after all the promise of 2017, exiting rather limply against Clare after a distinctly unmemorable All-Ireland quarter-final in July. But the 2019 league campaign has seen them reassert their credentials and today's win was their third over Kilkenny in Fitzgerald's reign. Prior to his arrival, they hadn't beaten Cody's side in championship since 2004. Cusack, who worked alongside Fitzgerald as part of the Clare backroom team in the 2016 season, acknowledges that the Wexford manager's favoured style of play is divisive among supporters but insists that is well constructed. "As a manager, he's top-class," the three-time All-Ireland winner said on League Sunday. "His stamp is all over that Wexford team. It's not an easy thing to bring a new style of play to a team. Their competitive spirit as well, that's Davy all over. "Davy has a philosophy on how to play the game, believes in it. He has changed it over the years, is not afraid to change. But it's built on very sound logic. "I've often debated different points with him. A lot of people would say, "why is he playing the sweeper? And why is he using that type of role? "The last point I'd make and, it's a general point about David Fitzgerald, he's worth a lot to the GAA. You look at the attendances that have gone to the games that Wexford over the last couple of years and compare it to the time before Davy was there. "Even for the profile of hurling. I went into a friends house a couple of weeks ago and they were talking about David Fitzgerald. "The game needs characters and David Fitzgerald is definitely one of those. And he's definitely of great value to the association."